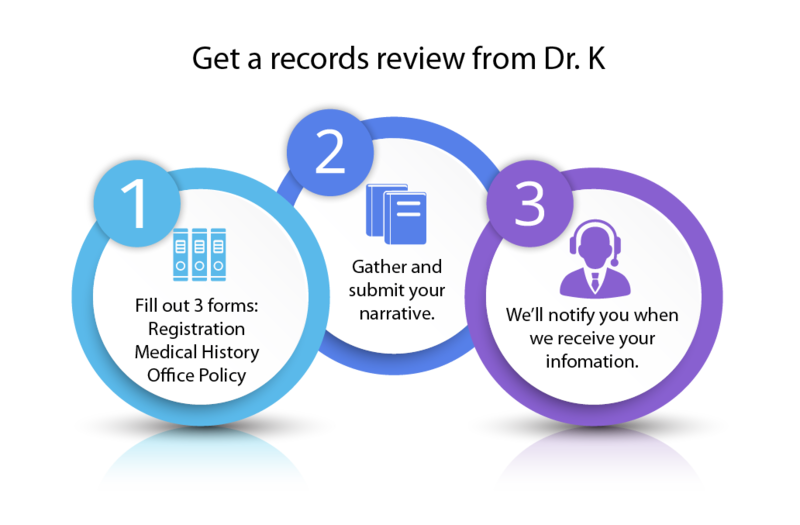 Download, print and complete three forms (registration, medical history, and office policy). Gather and submit your records and narrative (details here). We'll notify you that we have them. Dr. K will usually call you within a week. Dr. K will discuss your situation with you, and provide his suggestions for next steps. This service is provided at no charge to you.